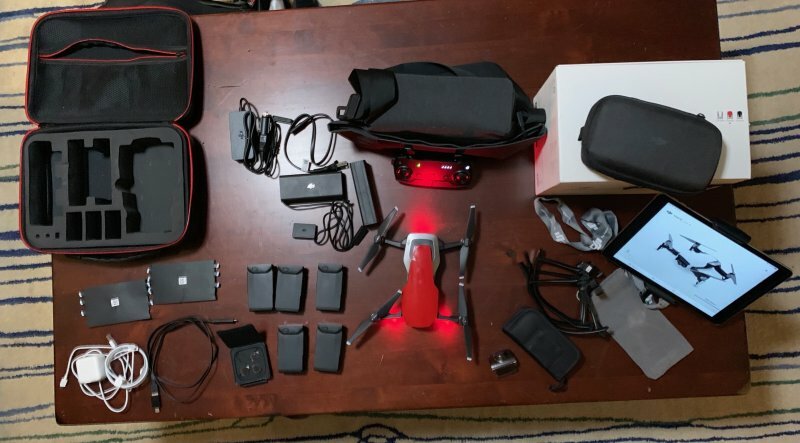 For sale is a DJI Mavic Air with fly more kit and lots of additional accessories. Everything is in perfect working order I just don't use it enough to justify keeping it. Drone has less than 5 hours of flying time. There are some minor surface scratches that do not affect performance on drone and iPad and possibly on some of the accessories and no other damage on anything. All items would be over $1700 new. 5 total pairs of propellers (2 on drone, 3 extra). Item can be picked up or I will ship via priority mail to verified addresses within the US only. I tried to be as accurate as possible with the description and may have made some mistakes, the picture shows everything that is included so please verify the picture shows what you are expecting before purchasing.